petição: Protect People and Animals. Stop Dangerous and Inhumane Products. Protect People and Animals. Stop Dangerous and Inhumane Products. Right now, two U.S Representatives are pushing bills that could force states and localities to allow the sale of dangerous and inhumanely-produced products like foie gras, horse meat, and eggs from caged chickens. California could be forced to allow the sale of foie gras, a notoriously cruel "delicacy" produced by jamming a tube down the throats of ducks and force-feeding them until their livers become enlarged and diseased. Bans on the sale of horse meat in Illinois and other states could be overturned. 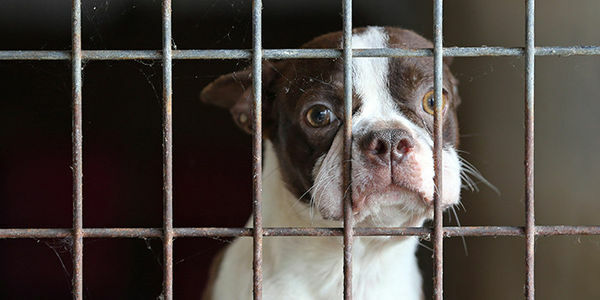 Louisiana and other states' rules preventing the sale of abused and sick dogs from puppy mills could be wiped out. Massachusetts could be forced to allow the sale of eggs from hens locked in tiny cages. This is cruel and significantly increases the risk of Salmonella and other dangerous bacteria. Just a few years ago, Rep. King tried passing a similar dangerous piece of legislation. However, thanks to the concerted efforts of thousands of animal advocates, that measure was defeated. But now, he's at it again and we must raise our voices to defeat these measures and protect people and animals. Sign the petition and urge your U.S. representative and U.S. senators to oppose HR 3599, HR 2887 and any similar attacks on duly-enacted state and local measures protecting animals and consumers. As your constituent, I respectfully urge you to oppose both the "Protect Interstate Commerce Act" (H.R. 3599) and the "No Regulation Without Representation Act" (H.R. 2887), respectively known as the "States' Rights Elimination Acts." These dangerous bills could undermine hundreds of state and local laws covering everything from food safety to child labor to animal welfare – a major threat to both people and animals nationwide. States have historically possessed broad powers to protect the health, safety and welfare of its citizens by regulating the sale of goods and services within its borders. The courts have adjudicated these issues and affirmed the states' rights to pass laws to protect their citizens and to reflect the public will on a wide range of concerns. Please oppose H.R. 3599, HR 2887 and any similar attack on duly-enacted state and local measures.